We offer best deals on flights to Hyderabad, India from all Canadian gateways including Toronto, Montreal, Ottawa, Vancouver, Calgary, Edmonton, Halifax, Winnipeg, Fort Mcnurray all around the year. Whether you are booking your tickets months before or booking last minute airline tickets to Hyberabad, we can get you the lowest pricing for your trip to Hyderabad. With the help of our smart flight booking engine, we compare flights from a large selection of flights from Oman Air, Air Canada, Jet Airways, Emirates, Etihad, Turkish Airline, Delta, KLM, Air France, British Airways, Qatar Airways, Lufthansa, Swiss, Austrian, and then offer you the cheap flight options. We are RATED 4.5/5 by 1208 Google reviews for a reason! Following is the list of our popular cheap flights to India routes. A city of bazaars, forts and tombs, some say that Hyderabad may have been the city of Patala, a stop on Alexander's journey through Sind. Today, Hyderabad is the second largest city of Sind and a thriving industrial metropolis. The city is rapidly growing and becoming the IT hub of India. Many companies in North America have outsourced their call centers in Hyderabad, India. Check our lowest fares on Oman Air and book your flights to Hyderabad with confidence. We also arrange customized vacation packages and also offer lowest group rates on flights to Hyderabad and other cities in India. Please call us or send us an email for free quote for vacation packages or group rates to Hyderabad. The group must have at least 10 travellers flying to Hyderabad. Nanak Flights can provide you with the best fares to Hyderabad and all destinations worldwide. Use our search engine to compare and book your cheap flights to Hyderabad. We have thousands of satisfied customers from Toronto, Brampton, Mississauga, Bolton, Malton, Montreal, Ottawa, Peterborough, Vancouver, Calgary, Halifax, Victoria, Edmonton who have purchased best flight deals to Hyderabad from us. We have Telugu and Hindi speaking staff to cater to tickets requirements for Hyderabad of elderly people who only speak Telugu or Hindi. Located in the state of Andhra Pradesh in the southern part of the country of India, the city of Hyderabad houses a number of places of interest. Starting from historical places of visit to the beauty of nature, the city has all. We work hard to find the lowest airfares to all your destinations. For the airfare quotation, fill out our form for a free quotation by email and we will get back to you with unbeatable rates. To book your trip right away, use our booking search to reserve your tickets online instantly. 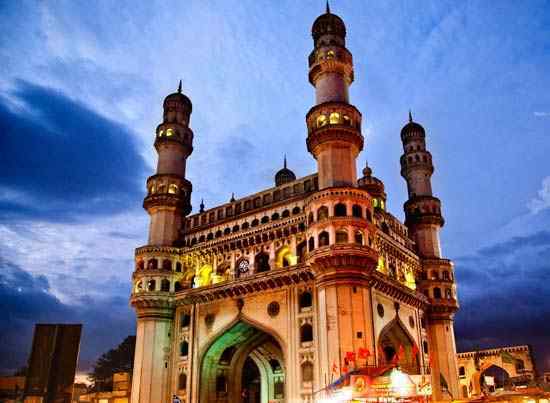 One of the major historical sites worth visiting in the city of Hyderabad is the Charminar. Situated in the heart of the city, Charminar stands at the height of 46 m and is popularly called the Arc de Triomphe of the East. Mecca Masjid is visited by the followers of Islam all across the world. One of the largest mosques in India, Mecca Masjid can accommodate around 10000 worshippers at a time. Many of the arcs and walls of the Masjid are adorned by inscriptions from Quran. Nehru Zoological Park is the official zoo of the Hyderabad city. The zoo is a habitat for variety of animals that live here without any fear and under right supervision. The inhabitants of the zoo include Indian Rhino, Asiatic Lion, Tigers, Antelopes, Leopard Cats, and Hedgehogs among many others. Shoppers Stop - Shoppersstop.com offers a truly remarkable shopping experience on the Internet. Inorbit Mall - Inorbit Malls pioneered mall culture in India, when they opened its first mall to the public in early 2004 in Malad, Mumbai. Since then, Inorbit has repeated its success with world class malls in Vashi, Hyberabad, Pune , Whitefield in Bengaluru and Vadodra. Hyderabad Central - One of the best shopping malls. NSL Centrum Mall - A company that is inspired to deliver futuristic landmarks. A group that has aspired to create a sustainable future. Balaji Grand Bazar - One of Hyderabad's premier Departmental Stores, Balaji Grand Bazar offers a wide range of top quality products from leading brands. 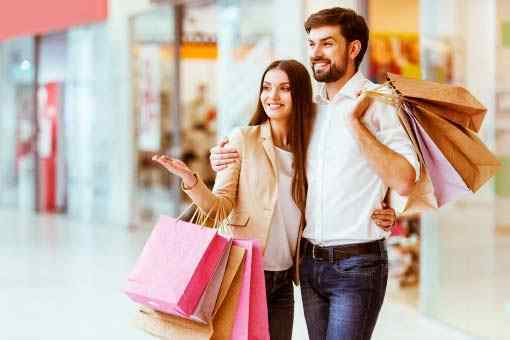 South India Shopping Mall - Nearly three decades have been witness to their transition from smallest stores to the largest textile kingdom in Andhra Pradesh. To get flights updates at Hyderabad Airport(Rajiv Gandhi International Airport), check the arrival and departure time of domestic and international flights. Pathar ka Ghosht (Ghosht cooked on stones) - Ghost is preapared on hot stones. The flavor is so different that you won't find anywhere. 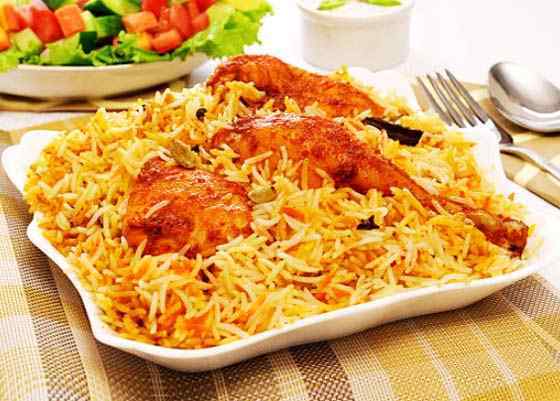 Hyderabadi Biryani - Hyderabadi Biryani is the World renowned dish but Hyderbad's biryani is best prepared with Authentic Herbs in Hyderabad only. Haleem - It is very nutritous dish and is full of proteins. Hyderabadi Haleem is different as it is mixed with Daliys and taste is so delicious. Nahari - It is a special dish made with Goat's feet amd tounge. Maghaz Masala - It is Goat's brain deep fried with special Masalas. Khatti Dal- It is a special Dal made with Imli. The taste is sour. You can enjoy it with rice. Hyderabadi Kheema- It is a special Minced Mutton curry prepared with Authentic Hyderabadi spices. Terminal information at Hyderabad (HYD) airport, India. Rajiv Gandhi International Airport Hyderabad (HYD) has one terminal for both International and domestic flights. It also has a special handling for Haj terminal. Do you know the following interesting information about the Hyderabad International Airport (HYD), India? The Airport is named after the former Prime Minister of India Mr. Rajiv Gandhi. The Airport is only 21 Kms Away from the city of Hyderabad. King Fisher is the first Indian Airline to land its flight at the Airport. Hyderabad Airport can handle 12 Million Passangers per year for both Internationl and Domestic flights. It has the transport links through Shuttle buses, Taxies. Wireless Internet is available Free of charge for 45 minutes. Please read the following important information regarding Customs, Baggage and Airport information after reaching Hyderabad International Airport. It will help you expedite the Arrival process. Customs and Immigration Process: Please fill in the Immigration form upon your arrival at the airport. There are plenty of Immigration counters at the Airport to avoid any delay. Baggage collection: International travellers can check-in their baggage at the re-checkin counter at the Airport, and then finish their customs and immigration, get their boarding passes for their next flight to home. If you are taking an International flight from a domestic city via Hyderabad, You will enjoy the through baggage facility. It is seamless as you will get your bagagge at the international destination. For any information regarding Rajiv Gandhi International Airport Hyderabad, Please visit the Rajiv Gandhi International Airport web site. Facilities at Rajiv Gandhi International Airport Hyderabad (HYD) airport, India. There are total 130 check-in counters and 16 self check-in counters. There are 46 Immigration counters at the airport to speed up the customs process. There are 4 Prayers rooms at the Airport. For Smokers, there is good news. Hyderabad airport has a lounge exclusively for the smokers. If you want to take shower before your next flight, There is a nap and shower facility at the International Airport. You can also buy Food and beverages at the Airport. It has got 28 rooms for shower and TV. If you want to wrap your luggage, Secure Wrap provides services to wrap your luggage. If you are going on a business trip and want to stay at the Hotel, Novotel Airport is the closest hotel from the Hyderabad Airport. Apollo hospital has provided excellent Medical service facility at the Airport to take care of any emergency requirements at the Airport. If you are planning to stay close to the airport in Hyderabad, the following is a list of the best hotels close to the Hyderabad Airport.